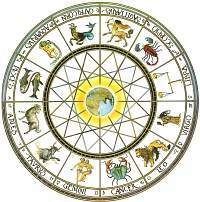 Astrology is how the planets and their movements in the sky affect us, as individuals, on earth. Each planet symbolizes a certain force or energy; each of the 12 astrological signs represents a different mode or style in which that energy is expressed. Astrology reflects the principle that nothing in the universe is at once so simple or so complicated as man himself, from the simple human traits inherent in all humans at birth to the complexity of specific personality and behavior patterns of a single individual. Desirable and undesirable characteristics repeat themselves in the individuals of countless generations, appearing only slightly altered by the history of changing circumstances. Specific traits indicated as belonging to one astrological sign does not deny the fact that people born in any of the other eleven signs also possess these traits. What it means is that hundreds of years of recorded astrological observations have shown that certain traits are more prominent in the personality and temperament of those born in one sign than in another. That is the reason, for example, that moodiness becomes a trait associated with one sign or loquaciousness the hallmark of another. Some people don't seem to fit the descriptive characteristics of their astrological sign. Please note that the sign descriptions included here are based on the typical person born under that sign. There are exceptions to every rule and you may feel that your sign profile does not fit what is reported here. Also do not feel that what is included here is set in stone. Destiny is what you make of it, the following pages are only meant to be helpful guides and suggestions. (c) 2001-2016 NEWKERALA.COM. All Rights Reserved.